Today we speak of St. Augustine, the son of St. Monica for whose conversion she spent her life praying. (See yesterday’s post) Sometimes conversion is such a turnaround that one can only call the about-face a “fierce” change. 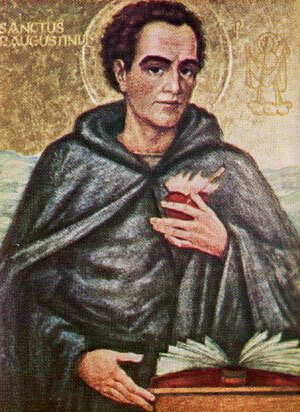 (See www.franciscanmedia.org – saint of the day) Augustine became a rigorous defender of the faith at a time of decadence which gave him a reputation for “fundamental rigorism.” Such was my impression in my younger days. I was surprised somewhat later to find a more gentle, beautifully expressed side of the man as he wrote of his relationship with God. Here is my favorite example of such a deep and meaningful encounter. Yesterday I was having a conversation about sin – not sins but sin, as in “the sin of the world” or “social sin.” It’s much easier to look at it that way, not so difficult then to exclude myself from the topic rather than talking about my personal sin and guilt. Today, however, I could not avoid such a “close encounter” in the face of the story about David and Bathsheba. (2 SM 11:1-17) David’s actions of adultery and the subsequent plotting the death of Uriah when his attempts to hide Bathsheba’s pregnancy from her husband had failed sound like a modern movie plot! This from God’s chosen one, the king of Israel, the one whose reign was to last forever through his descendants! Most of us know our own sinfulness and try to hide our shadow side from others for fear that we would be abandoned if anyone “really knew me.” David’s story gives us opportunity for a different way to proceed. It comes in a series of steps: recognition, acknowledgment, contrition, repentance, forgiveness and finally acceptance – all of which come in his relationship with God. 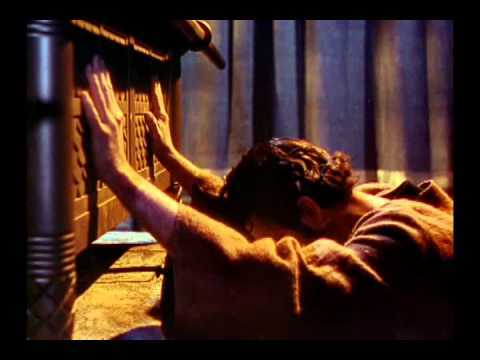 His waking up to the seriousness of his sin came at the death of the child born of his liaison with Bathsheba but that recognition was so deeply felt not only by the loss but also because of his great love for God and the knowledge that he had severely damaged that covenant. Thus, his sorrow matched his guilt as he sang, “I have done such evil in your sight that you are just in your sentence…Let me hear the sounds of joy and gladness; the bones you have crushed shall rejoice. Turn away your face from my sins and blot out all my guilt!” (PS 51) It is because of the depth of relationship that David could come to trust God’s forgiveness. Still cognizant of the enormity of what he had done, David was then able to accept himself and let go of his guilt to live into God’s welcoming embrace. I am confident that we are called to the same willingness in the face of our sin. Serendipitously as I was pondering all this, my eye fell on a quote that seems apt for both this reflection and this “Year of Mercy.” Pope Francis writes that the Church is commissioned to announce the mercy of God, the beating heart of the gospel, which in its own way must penetrate the heart and mind of every person. Having received the grace and ability to acknowledge our own sins, may we be moved to extend such mercy to our companions and, yes, to our broken world. Late have I loved you, O Beauty ever ancient, ever new; late have I loved you! You were within me and I outside…You called, you shouted, and you broke through my deafness. You flashed, you shone, and you dispelled my blindness. You breathed your fragrance on me; I drew in breath and now I pant for you. I have tasted you, now I hunger and thirst for more. You touched me, and now I burn for your peace.